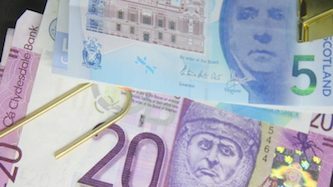 Almost 700,000 Scots have problem debts or are at risk of having them, according to a new report by debt advisory charity StepChange Scotland. With 46% of those seeking help struggling with council tax arrears, StepChange called on Scottish local authorities to ensure they have sustainable arrangements that give people a fair chance to repay their debt. StepChange made the plea after releasing its “Scotland in the Red” report for 2018. Sharon Bell, head of StepChange Scotland, said she was alarmed by the increases in the proportion of clients struggling with household bills, particularly council tax. StepChange Scotland said the average amount of council tax arrears its clients had was £2,017. The report said the social cost of problem debt amounts to about £750 million — with public services having to deal with mental health problems caused by debt and by demand for housing help. Bell said: “The vast majority of StepChange clients are in problem debt due to circumstances they could not have prevented or planned for, such as unemployment, ill-health or reductions in income.